Additionally, it’s not too soon to mark your calendars for the 2019 World Congress of Surgery, which will be held in Krakow, Poland, currently scheduled for August 11-15, 2019. At this year’s World Congress, the US Chapter is pleased to reinstate the “ACS Lecture” – a reciprocal event to the ISS Distinguished Lecture that takes place at the annual ACS Clinical Congress. 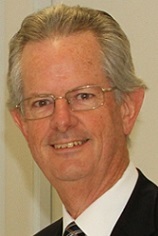 The ACS Lecture has been dormant since 2007 and we are thrilled to revive it with a keynote lecture by Stephen A. Deane MBBS, FRACS, FRCSC, FACS, FRCS Ed, FRCS Thailand (hon) of Australia who will speak on “The Weaving of Threads – Progress through Partnerships.” This lectureship recognizes the significant contributions of the American College of Surgeons towards advancing surgical care internationally and features an ACS member renowned for their leadership in efforts to transform the delivery of surgical care across the world. Please join us on Tuesday afternoon, August 15th at 2:00 pm in the San Francisco Room for this important contribution to the WCS program from our chapter. 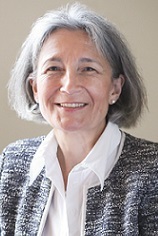 We congratulate the 2017 Lloyd Nyhus Traveling Fellow, Rondi Kauffmann, MD, MPH of Vanderbilt University, who will be formally presented on Monday morning, August 14th at 8:00 a.m. All members will have an opportunity to meet Dr. Kauffmann and the other Travel Scholars at a special reception on Sunday afternoon, August 13th at 4:00 p.m. This year, Dr. Kauffmann and the other Travel Scholars will take part in a special Davos Course on GI Surgery the weekend preceding the conference, which will allow them a much greater opportunity to get to know each other, while benefitting from this educational offering. Dr. Kauffmann will also be participating as a moderator during the ASAP program of the WCS. Please be sure to extend your congratulations when you see her! We have much to celebrate as a chapter, as two of our esteemed members will be recognized at the World Congress for their contributions to international surgery. Dr. Ron Maier of Seattle, Washington will be honored with the ISS/SIC Prize, which recognizes the surgeon who has published work which has made the most notable and useful contribution to surgical science. And Dr. Mark Bowyer of Fairfax, Virginia will receive the Robert Danis Prize, given to the surgeon who has made the most important and personal contribution to the fields of trauma (including skeletal fractures), burns or critical care. Huge congratulations to them both! In a few months, we will convene for our annual meeting at the ACS Clinical Congress in San Diego, CA, October 22-26. This year, our chapter’s Annual Business Meeting is scheduled for Wednesday morning, October 25 from 6:30 – 7:30 a.m. The location of the meeting will be announced in our October newsletter and on the website, once it has been finalized. Please start to think now of appropriate candidates for these roles. Immediately following the chapter meeting on Wednesday morning, October 16, at 8:00 a.m., Dr. Clare Marx, CBE, DL, MBBS, PRCS – Immediate Past President of the Royal College of Surgeons, will deliver the Distinguished Lecture of the International Society of Surgery on “Right for the Patient, Right for the Citizen- Professionally Led Changes in Healthcare.” The lecture will be held in San Diego Convention Center – Room: 5AB. This will be a terrific and timely talk and I know we all will spread the word to ensure a strong and engaged audience. We are pleased to announce that the new ISS – US Chapter Website is now live! Please visit http://www.us-iss.org/ to check it out. Much appreciation to our Chapter Administrator, Ashley Porter for all her help in making this a reality. Please let us know of any events sponsored by the integrated societies or other organizations that may be of interest to the chapter membership, which can be included in the announcements on our website. You can always contact Ashley at US-ISS@facs.org. A brief reminder will be sent in October with the agenda and location of our Annual Business Meeting along with the final call for nominees for US Chapter officers and our 2018 Distinguished Lecturer. Until then – I hope you all enjoy the remainder of this gorgeous summer and I hope to see you in Basel!